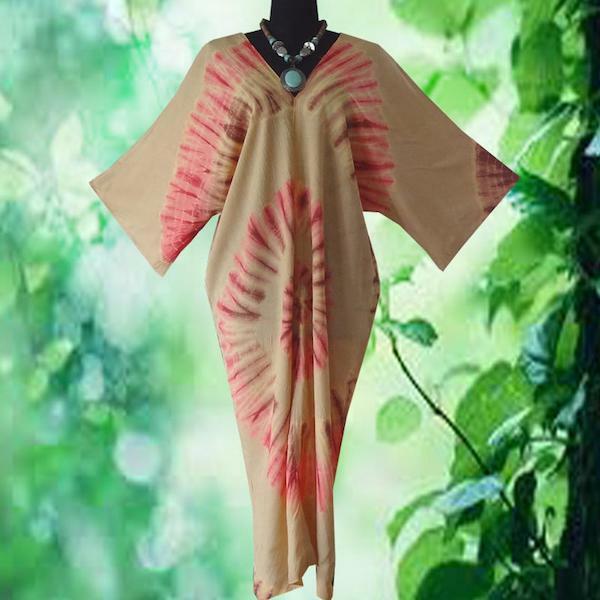 I’ve always had a thing with bohemian dresses – who doesn’t want to feel young wild and free, right? Moving to Thailand, aka the country of eternal summer, means I can wear boho dresses EVERY day! But don’t despair if you’re not living in a tropical country – you can actually wear these babies all year long! Match them with a pair of boots, a hat and a cozy sweater and you OWN that boho look, baby. 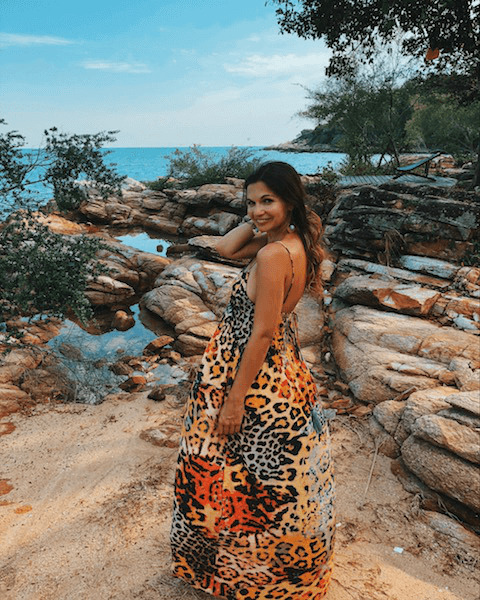 Below I’m sharing with you some cool boho dress brands from Thailand – that ship internationally – so you can get that eternal summer vibe going wherever you are! Oh, and these dresses are also perfect for mommies to be (like myself)! You may have seen my recent announcement on Instagram that there’s a Bangkok baby coming this April… excited to share this part of the journey with you too! Boho dresses are actually the perfect way to dress your bump in a stylish and comfortable way. 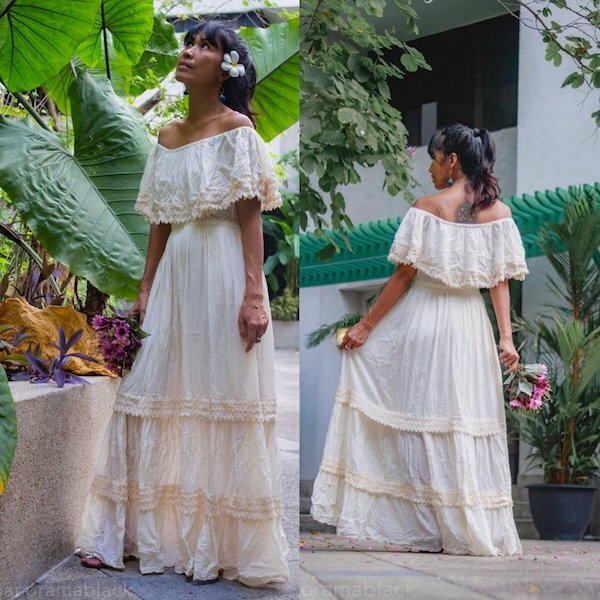 But without further ado, here are my 5 favorite boho dress brands from Thailand! I love the collection of Nuichan, the Thai brand of Yaowalak and her sisters. All the items are handmade from quality materials – while being super affordable! Check out some of my favorite dresses below or have a look at the full collection on their web shop! This Bangkok brand has THE cutest boho dresses and accessories! Their white lace dresses are so dreamy, and they have all kinds of other patterns and designs in their online shop too. Who could design boho dresses better than a beach town girl? 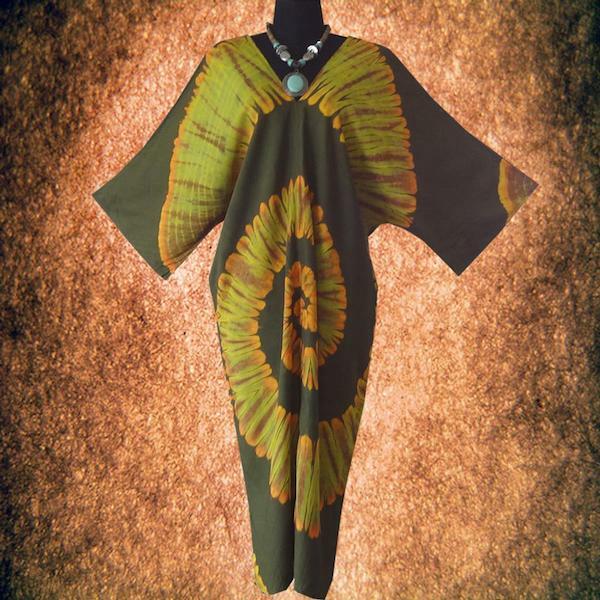 Onuma from Hua Hin, a Thai city by the seaside, has a lovely collection of colorful dresses. Some of my favs below and her full collection can be ordered here! 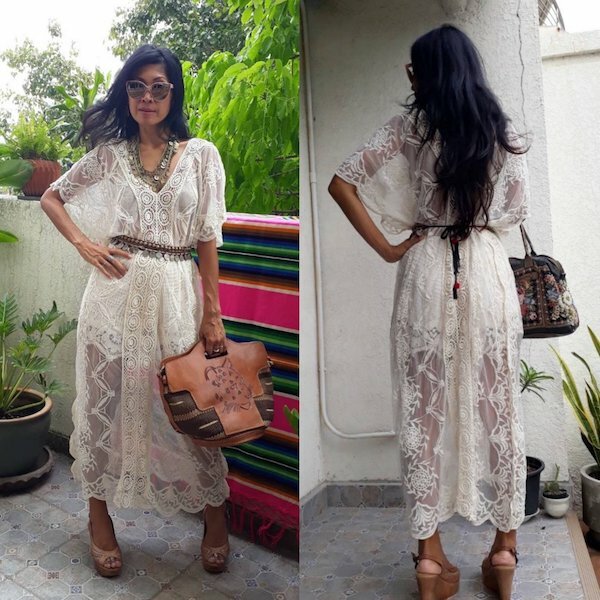 Personally I’m a fan of white lace boho dresses! I love how you can style them in so many ways – with different colored accessories, sandals or boots depending on the season, and a straw or velvet hat. If I haven’t convinced you yet, maybe Bangkok girls Onn and Lili will with their beautiful boho brand Khaosan! Shop their pretty dresses below or have a look at their web shop here. 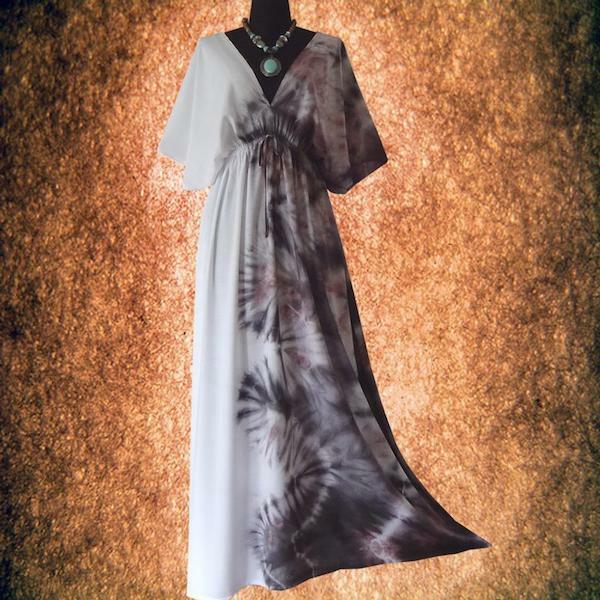 Last but not least, I came across these gorgeous tie-dye dresses from Chiang Mai – all handmade by a young Thai woman named Joonjira. 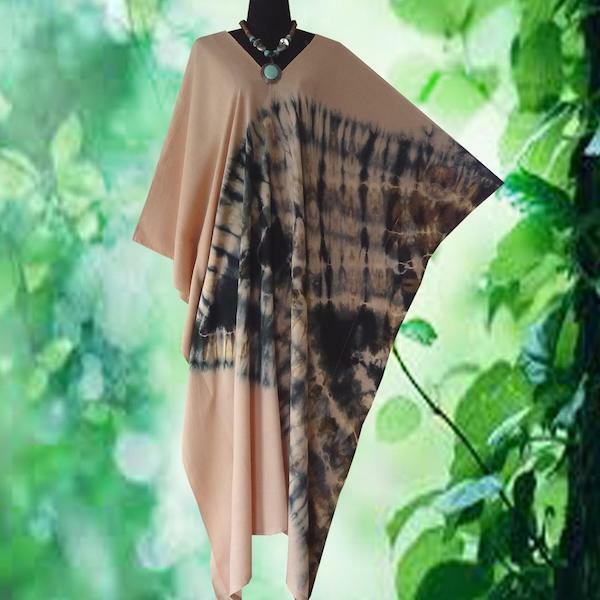 Some of my favorites ready to make their way into your closet below, or have a look at all of Joonjira’s designs here! Is boho your thing or not? Found a dress you like (or do you have any troubles ordering)? I always love hearing from you!